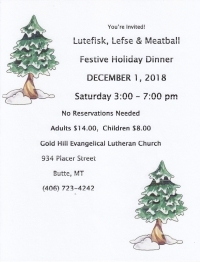 Everyone is invited to Gold Hill Lutheran Church’s annual Lutefisk, Lefse & Meatball Festive Holiday Dinner! 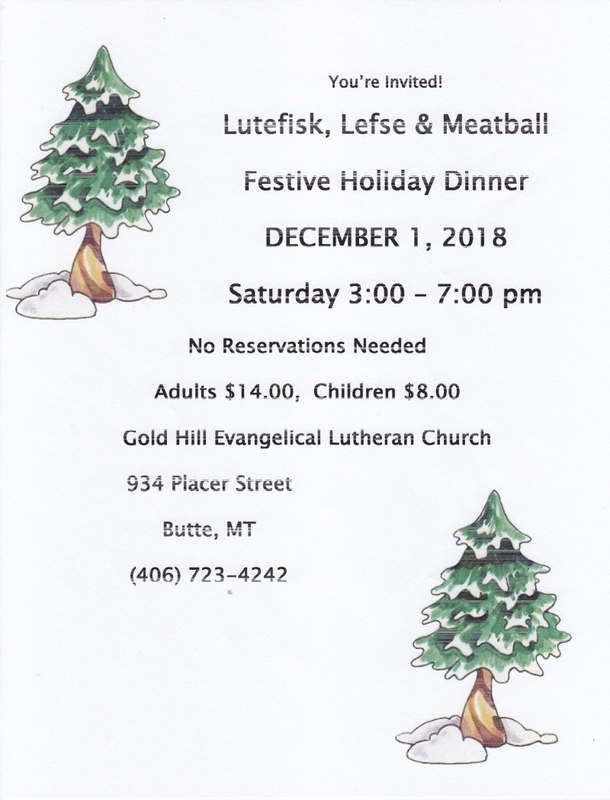 We serve up tasty lutefisk, Scandinavian meatballs, with potatoes, gravy, cooked carrots & pickled beets. And for dessert we have lefse, cookies, and fruit soup. No reservations are needed. The fun begins at 3:00 pm on December 1st.